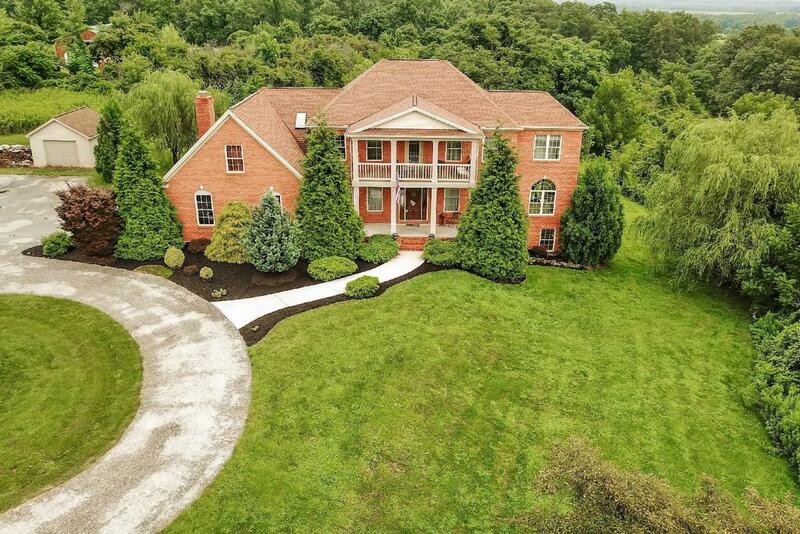 Private rural country estate with views, in the heart of Adams County, PA, and Gettysburg School District! Spacious, 2 story, brick & vinyl, 3,816 Sq. ft., 4+ bedroom, 2.5 bath, with a blend of contemporary & traditional features. This stately home is situated on 13.61 acres, set back off the road with a tree lined entrance, and a circular driveway. This property boasts 9 ft. 1st floor ceilings, wall mouldings, a custom maple 31x13 kitchen with granite counters, tile flooring, stainless appliances, 7 ft. center island, separate pantry & desk areas, a 17x15 dining room with wood flooring, a 27x20 1st floor familyroom with wood flooring, a wood burning fireplace & stone hearth, 2 story ceiling, built ins, a master suite with his/hers walk in closets, porch, a 34x28 lower level finished walk out familyroom~ so many wonderful spaces, so many options... office, sun-room, playroom, guest rooms. 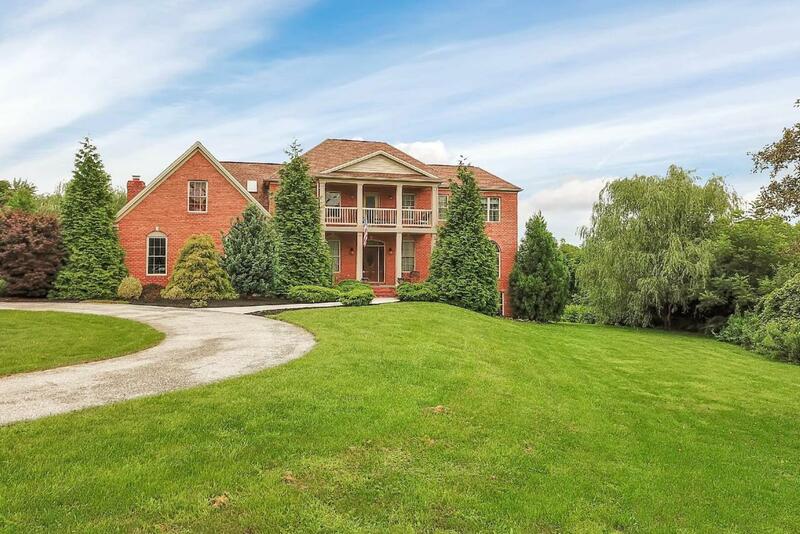 Also includes an attached 2-car garage and detached 1-car garage, and a spring fed pond. Property is in Clean and Green.